Are you thinking about remodeling your master bathroom? Does your tub need an upgrade? Before you start ripping cabinets out of the wall, take a look at these tips we have for you in order to make the process a little easier! Here are 10 things to think about before remodeling your master bathroom. You’d be surprised the stuff that piles up in the drain. The average drain pipe is about 1 ½ inches thick, consider upgrading to 2-inch pipes. The thicker the pipes, the less likely it is to get clogged. Consider routing your pipes through interior walls to avoid freezing your pipes in the winter time. If you’re going to be surrounding yourself with mirrors in a place where you are most vulnerable, you might want to consider upping your lighting game. Use recessed light fixtures on the ceiling to brighten the room. Last thing to consider is a dimmer. Enjoy a calming bath in dim lighting or brighten the place up when applying makeup or shaving. Save a few inches of space with a recess medicine cabinet. His is a great way to spare some inches. If you don’t have the luxury of putting it into the wall, ensure your space can afford a cabinet that protrudes 4 to 5 inches. A new trend we are seeing in bathrooms is wall hung toilets. They are now much more affordable and offer a sleek and modern look in the bathroom. Best part about these is that they are a huge space saver with the tank hidden behind the wall. When done properly, this can be a killer addition to your bathroom. Choose a glass style that will give you some privacy, like frosted glass. Most importantly make sure the window slopes down and away for proper drainage. Get creative with your shower sills. The tile you choose needs to be something strong and unique to make the spot pop! Just like the shower window, make sure your sills are properly angled to drain. Smaller tiles are easier to slope rather than larger tiles that are harder to manipulate. Properly leveling your shower floor is beyond important. Lastly, something to think about it the friction on the floor. Pick a tile that isn’t slippery ensuring a safe shower space. Say goodbye to beige! 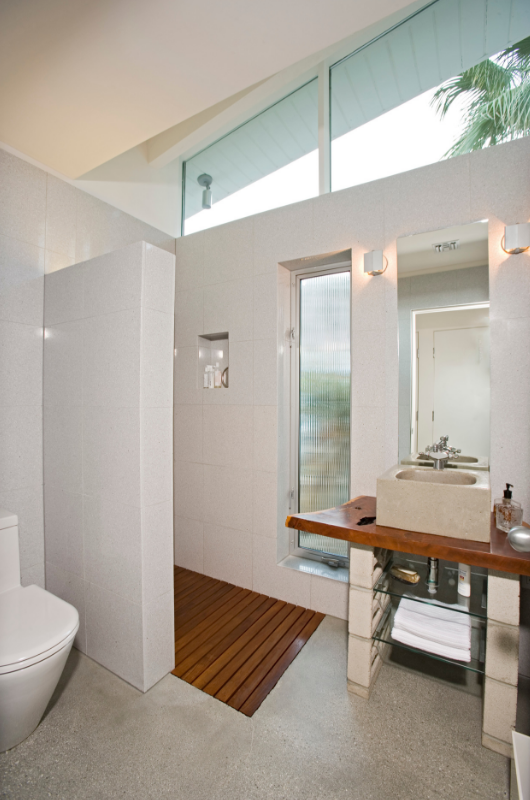 Grayscale and modern is the new them for master bathrooms. This trend offers a clean and modern look. Clean bases made from acrylic or porcelain are the trends moving into the bathroom game. Consider drawers over doors. They are easier to organize and easier to access. Best of all they can easily be cut around the plumbing and can be large to store bulky items! Let’s be honest, how many baths do you take a year? You are renovating for yourself not a future buyer. Consider this a personal investment. More and more people are removing tubs from their homes. Are you next? Know of someone looking to buy or sell in the Austin area? Contact Cain Realty Group today for more information!! !